Kind John's Nursery and Gardens is based in Etchingham, East Sussex. Run by Harry Cunningham it's a rural retreat that showcases the wonders of an English Country Garden. 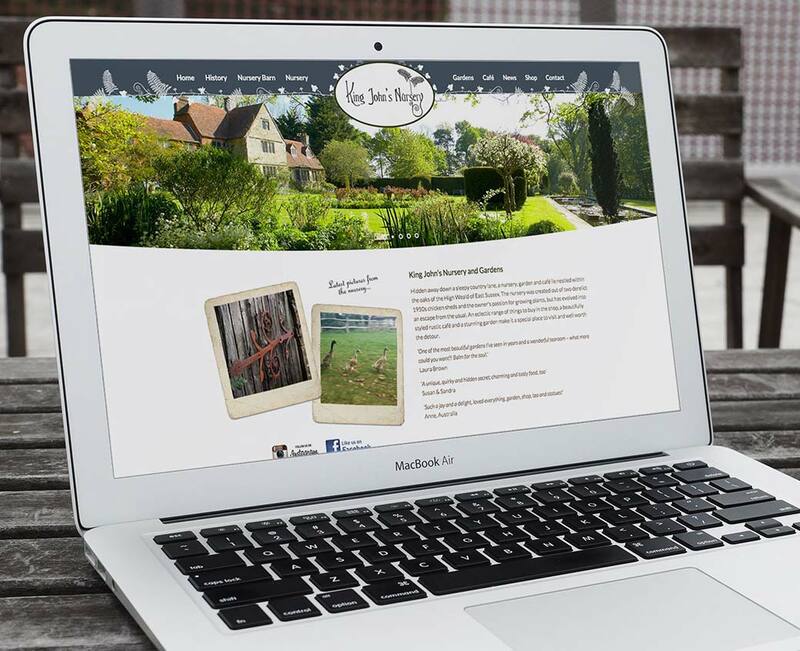 Harry was running a very outdated website which he set up himself when he first started but due to expansion and the limitations his website presented he approached us to design and develop a brand new content management website that would be fully mobile and tablet responsive, feature his upcoming events, some products and the various services/offerings available at King John's Nursery and Gardens. The new design brings some of the garden out into the screens of the viewers, using large imagery of his award-winning gardens and garden-based graphical elements we were able to provide a truly bespoke design that was tailored to Harrys wishes and requirements. The website features a live feed from his Instagram, a blog and events section, a small selection of his favourite picks from the shop and a link to his mailing list for prospective visitors.